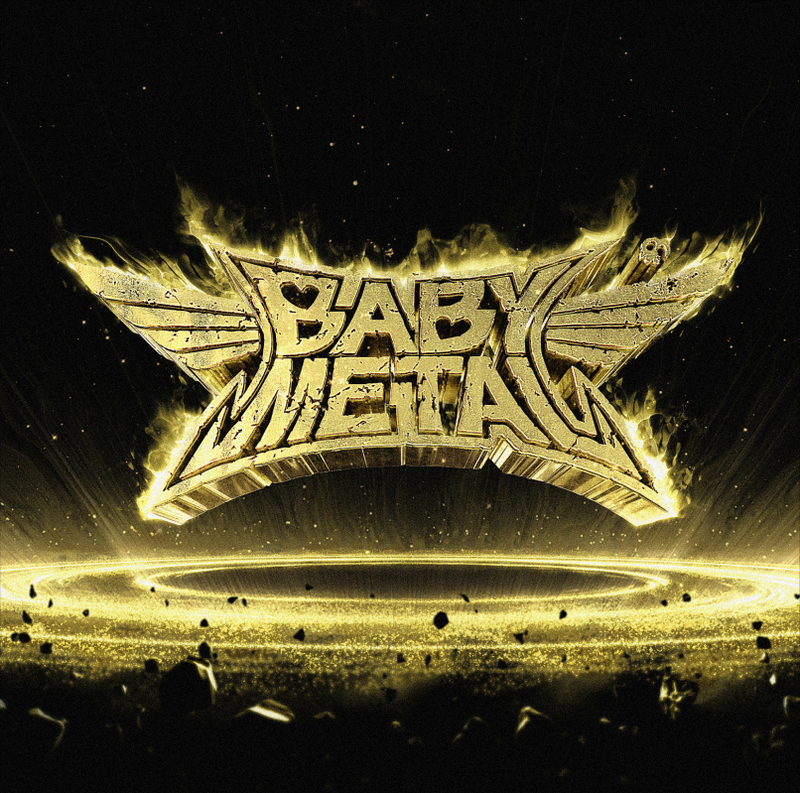 Japanese "idol group" Babymetal is a band whose music should be nowhere near as skillfully crafted or sonically rewarding as it is. Considering the group was a producer-assembled offshoot of a J-Pop vocal group comprised of 12-year-olds, I was almost ready to dismiss them as a disingenuous corporate creation. But then I listened to their new album Metal Resistance. Dammit, this thing's good. The band's music pays homage to numerous metal bands and subgenres, notably Dream Theater (For backing instrumentalists to play recreate such a complex style is no small feat, incidentally), Sevendust, Slipknot, power metal bands like Helloween, and even some dubstep here and there. Atop this molten barrage of guitars and drums are the hooky, saccharine melodies of three teenage girls. These two elements should not mix well at all, but somehow they do. The album's twelve tracks fly by, containing enough radio-friendly choruses for a Bieber record but enough machine-gun speed metal destruction for the Rockstar Mayhem Festival. Almost all the lyrics are in Japanese, but don't let that deter you. The melodies will be stuck in your head for days regardless. The opener "Road of Resistance" is one of the most driving tracks on the album, assaulting the listener with blast-beats and background death vocals before lead singer Su-Metal jumps in with that sweet melody. The Helloween influence is felt most strongly on this track. One of the standouts is the second song "Karate," which features a snaky midtempo nu-metal groove I could easily hear on a Sevendust record. The chorus is one of the strongest on the album and one of most instantly memorable hooks I've heard in a long time; this is some professional songwriting. Track 3, "Adawama Fever," is equally hooky but in a more simplistic way. The vocals dance over a syncopated beat before settling into a goofy but undeniably fun chorus having something to do with bubble gum. This song is super high-energy. One major stylistic departure is the piano ballad "No Rain, No Rainbow," which shows off Su-Metal's increasingly self-assured vocals. For an 18-year-old she can really belt out these tunes and I look forward to hearing what she can do as she matures. Evidently this one was written a while back but Su-Metal didn't feel comfortable recording it until after she'd extensively performed it live and could emotionally get inside of the song. The wait paid off; she sings this one like she means it. The Dream Theater influence is front and center on the late-album song "Tales of the Destinies," a track full of odd meters, start-stop riffs, and numerous time changes. But then the chorus explodes right out of a Helloween album, the band pounding out impossibly fast riffs while Su-Metal's uplifting chorus melody soars. My favorite track is the album closer, "The One," which is the only song delivered totally in English. The lyrics seem pretty crudely written (probably due in part to the translation), but this is an anthemic prog-metal masterpiece that would serve very well as the grand finale to a rock opera. It's got one of those rare choruses you can hear on a loop and never tire of, and when it eventually fades out to close the album you can't wait to start over again. Metal Resistance has a little something for everyone who likes loud, energetic music. It's slickly produced, expertly played heavy metal with some of the most hauntingly catchy hooks you're likely to hear. 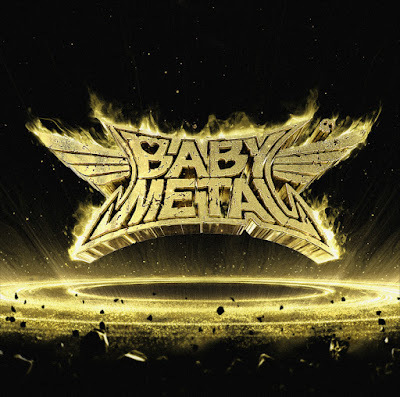 The impetus behind this band may have been one of commercialism, but when it comes to creating a deceptively challenging hard rock album with strong re-listen value, Babymetal is the real deal. This is one of the best albums so far this year. Music Review: Weezer - "The White Album"